There are over 22 different brands of disposable diapers on the market, a dizzying array of choices that confuse every new parent shopping for the right diaper. Given the costs associated with diapers, if they don't live up the promise they make on the box, it will be more than your baby who sheds a few tears. Realistically, you’ll purchase an entire sleeve of a single brand of diaper before you get to test-drive one on your child. The only time you can come across samples is during the first few days of your baby’s life at the hospital. And that’s the toughest part about choosing a diaper - the upfront commitment of laying out your dollars before you get to judge the results. Let’s face facts, diapers are so expensive that charities have been established to help low-income families afford them, including Atlanta Diaper Relief Inc.
We chose Pampers as the best diaper for your infant and Huggies as the best diaper for your toddler after careful consideration of the following factors: fit, cost, and availability. Sure, there are other bells and whistles than can come into play when evaluating diapers - whether they’re environmentally friendly, for overnight use, or best for sensitive skin - but those factors can get in the way of an evaluation of your everyday diapering needs. We evaluated different brands of diapers based on the three factors that we feel are most important to the widest group of parents - fit, cost, and availability. Fit: How well does the diaper prevent anything inside from turning up outside? Cost: How does the price per diaper compare to the competition? Availability: How easily can you find this brand of diaper when in a pinch? Your infant consumes an all-liquid diet, and the volume produced by all of that breast milk, formula, or puréed food means you want a diaper that prevents any of that liquid from leaking out. That is where Pampers Swaddlers excelled. To be sure, the brand has a reputation for being pricey, but after pricing around, we didn’t find it to be any more expensive than diapers that perform similarly. Depending on the size package you purchase, a single Pampers diaper can cost $0.27 - a price that is on par with other mainstream brands. 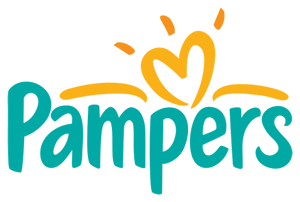 The wide availability of the Pampers brand is a key to its success as a parent-friendly brand. You can find Pampers pretty much anywhere, from mom-and-pop corner stores to big box retailers, regardless of the time of day or night. This means, when you’ve forgotten to stock up, you won’t have to desperately wait for a nearby store to open or keep your eye out for the FedEx truck if you tend to order them online. That kind of reliability is important to parents, who don't want to pay more for a substitute they haven't tried. Disposable diaper testing by BabyGear Lab produced a similar finding. While the blog’s top five were dominated by “green diapers,” which we did not evaluate, Pampers Swaddlers was the top rated diaper in what we call a mainstream diaper - a diaper that is simply a diaper without any special considerations. Now that your baby is walking, there isn’t anywhere your toddler won’t go, as adventure looms around every corner. And with both of you moving around more - the child wiggling to and fro and you chasing after him or her - protection and flexibility are crucial in the diapers you purchase. With that in mind, we rated Huggies as the top diaper brand for toddlers because it held up best with this active crowd. Huggies diapers do not gap around the thighs or back - a huge must for active toddlers. The diaper has a soft and smooth feel, and the company says the elastic strands in its diaper are made of synthetic rubber. The result seems to be a snug fit that is not too constraining. The flexible but secure fit of this brand helps to alleviate our concern of finding random tiny puddles of pee and pockets of poop somewhere around the house. Plus, the brand stands up to its reputation as a more affordable premium brand; a single Huggies diaper for a toddler costs about $0.26 (again, depending on the size of the package you purchase). This makes the brand our top pick when it comes to delivering a stellar performance for the price. Sure, cheaper options exist, but if you are cleaning up more messes, you aren’t achieving much in savings when you factor in the cost of added laundry, towels, even ruined furniture. And, of course, your time. Varieties of Huggies are stocked in most every retailer we can think of, including mom-and-pop shops. This wide availability also helps out with costs because retailers will often run sales to draw you into their store (or website). Each week you are likely to find this brand on sale. Huggies was also a top pick by the blog GoodGuide in its disposable diaper ranking guide. While this ranking focused more on environmental factors (our does not), Huggies Little Movers diapers were the highest ranking mainstream brand on its list. Once there’s a baby in the home, a decent chunk of your family budget will go towards disposable diapers. While that diaper “ick” factor will subside with practice, most households will wrestle the costs over the long haul. An estimate from Consumer Reports says the average family will spend about $2,500 for disposable diapers - per child - before potty training is established. And families who purchase environmentally friendly disposable diapers spend about $1,000 more than that. To bring down costs, you can search for online coupons, join rewards programs, and use bulk purchase sites like Amazon’s Diaper.com. But if you can be more information-driven in your approach to buying diapers, there are other ways to save. Here are our 5 Money Saving Rules for buying disposable diapers. Don’t Buy In Bulk – Not Right Away! This may sound counterintuitive but it’s true. Healthy newborns quickly outgrow the initial diaper size and some babies are born too big for the initial newborn size. 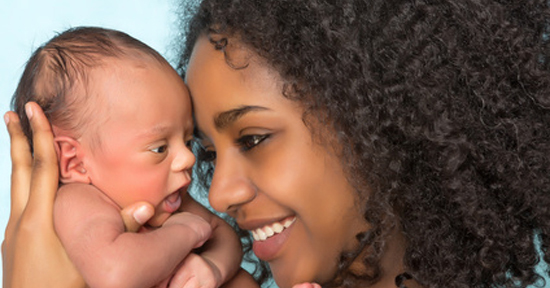 Also, between birth and six months, your new baby can grow up to an inch per month and can double in birth weight! So stocking up on one or two early sizes can leave with you a lot of unused leftover diapers, and that’s money out the window. Instead of stocking up, be practical in those initial weeks of parenthood. Did you know you could leave the hospital with extra diapers? Bring home the diapers you haven’t used while in the hospital. And yes, you can even ask for more diapers on your way out. Believe us, it’s been done. During these early weeks, purchase the smaller packs of diapers and resist the temptation to buy a large bulk box. That seemingly “great” price really isn’t when you’re faced with 60 unused diapers out of a bulk box. And instead of listing diapers by size on your registry, ask instead for a store gift card. This will allow you to purchase the right diaper size as your baby grows. Ever had a friend tell you about a deal they scored on eBay or Guilt? The same can happen with diapers if you access local online parenting groups, otherwise known as a listserv. Folks use these groups not only for local information but to buy, sell, and trade, essentially your local classifieds. Here, parents often post about packs of diapers for sale (because they weren’t shopping with Rule #1 in mind). “FS: Unopened Pack Huggies Size 1 $5” read a post in my neighborhood Yahoo! group recently. Search for groups near you based on neighborhood names or the name of your town. Go onto Google Groups, Yahoo!Groups, or even Facebook to find a local, online community that you can join. Granted, you can’t count on enough parents posting to do your regular diaper shopping, but you can score some pretty impressive deals. Diaper commercials all feature happy babies and toss the words “absorption” and “fit” around, but they are slightly misleading when it comes to which is more important for different age groups. Here’s the scoop -- the most important factor to consider for a pre-crawling baby is fit. True, this is not what you see in ads, where “absorption” is posted above images of young infants. However this ignores the basic fact that pre-crawling babies have a different diet than crawlers. And as the saying goes, what goes in must come out. Babies who are fed breast milk, formula and puréed foods are ingesting primarily liquids. Babies who are crawling have, generally, moved onto more solid foods. Your baby’s diet creates a big difference in the – ahem– product being placed into the diaper. So at the pre-crawling stage, you absolutely need a diaper that fits the best in order to prevent the types of leaks generated by their liquid diet. A more snug fit also reduces the number of what parents call anti-gravity blowouts, which are leaks that travel up the baby’s body, not down, often reaching baby’s neckline. Thankfully, at the crawling stage, you’ll experience far less diaper blowouts than you did when your baby was a pre-crawler, and overall you will be changing fewer diapers than you did when your baby was younger. And the better the fit, the fewer leaks, which means you’ll go through less diapers. Clever product packaging promises parents a full night of sleep if their babies wear an overnight diaper. But at more dollars for fewer diapers in a pack, are overnight diapers really worth it? This depends more upon your baby’s sleep cycle than the diaper. It’s really hard to find a parent who isn’t up at least once during the night with their baby. Go ahead, ask around! Growing babies eat frequently, for one thing. Then there are other factors such as teething that will wake your baby, as well as mental developments including dreaming and the awareness of being alone. All of these are moments when you will likely change your baby’s diaper anyway. So really, who is sleeping through the night in a single diaper anyhow? However, product lines from diaper manufacturers continue to promise improvements on leak protection and absorbability -- which is exactly what you want on your baby overnight. We don’t think it’s worth spending the extra money on a different nighttime diaper. Nearly all babies get diaper rash, a redness that occurs on your baby’s skin over the diaper area. This doesn’t necessarily indicate that your child has more sensitive skin than other babies. The culprit behind diaper rash is typically a wet (soiled) diaper left on for too long, but you should always check out any rash with your pediatrician. More frequent diaper changes can help with diaper rash. Also, there are many contributing factors to diaper rash, not just sensitive skin. The American Academy of Dermatology warns parents about the use of “unnecessary baby products” on their child’s skin. The list includes powders, creams, lotions, oils, and even baby wipes. Before you purchase expensive sensitive skin diapers, first take a closer look at the products your baby is coming into contact with. Anything with fragrance is a big no-no, and see if using a soap-free cleanser makes a difference. And don’t forget your baby doesn’t necessarily need baby wipes; a soft tissue or towel with warm (not hot) water will often do the trick with younger infants. If you are shopping for wipes don’t forget it’s often cheaper to buy baby wipes for sensitive skin than it is to buy sensitive-skin diapers. There are many, many ways to find the “best” diaper for your household, including the manufacturer’s social policies, overnight performance, the average time it takes a diaper’s materials to breakdown in the landfill, even its design. While the print or color of the diaper may not matter much, the others are important, personal decisions. Our study was meant to point parents to, essentially, the best-performing diaper for the money you spend. And that’s where Pampers excels for infants and Huggies for toddlers. Great article on the best diapers, I couldn't agree with this more. Pampers Swaddlers have always been my first choice for my newborns up through about 6 months of age, but after that, Huggies Little Movers are fantastic, especially for older toddlers (2-3 years old) who are extremely active but who haven't mastered potty training yet. Plus, Huggies offers many coupons via their website and even through the mail. Share on Facebook "Best Diapers for Infants and Toddlers: Huggies vs. Pampers"